Another NY Comic-Con has come and went. 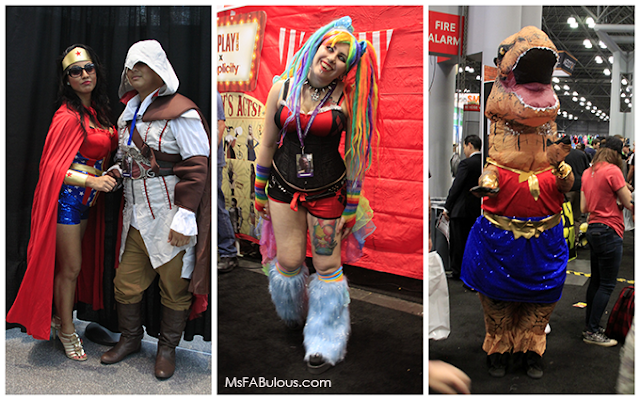 I love the geekery news of course, but I am really there for the fashion show that is NYCC cosplay. For the first year since I had begun attending comic-con in 2010, Harley Quinn was NOT the most popular female character (but a close second). Wonder Woman took first place this year, helped by the popularity of the movie and upcoming Justice League release. While the majority of the costumes for Wonder Woman were inspired by the movie, my favorite version has to be the puffy dinosaur dancing around as the Amazonian superheroine. 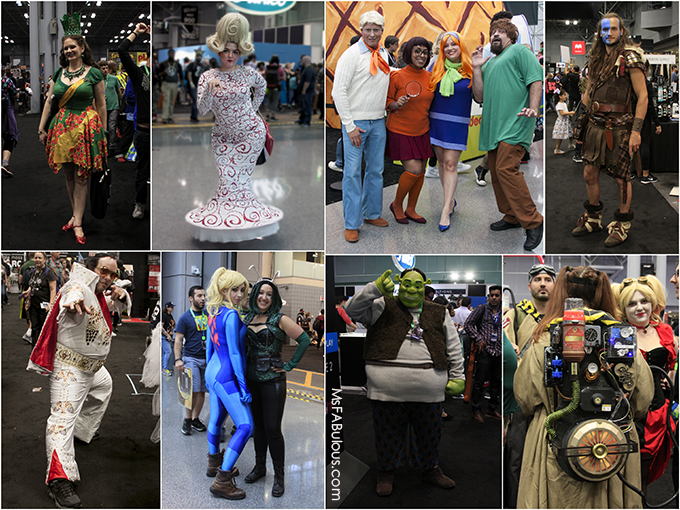 I really enjoyed the diversity of cosplayers this year. The media and marketing "experts" love to pigeonhole who they think the fans are and what their demographic is. There are, of course, the cosplay celebrity models with professional deals and mega-followings. 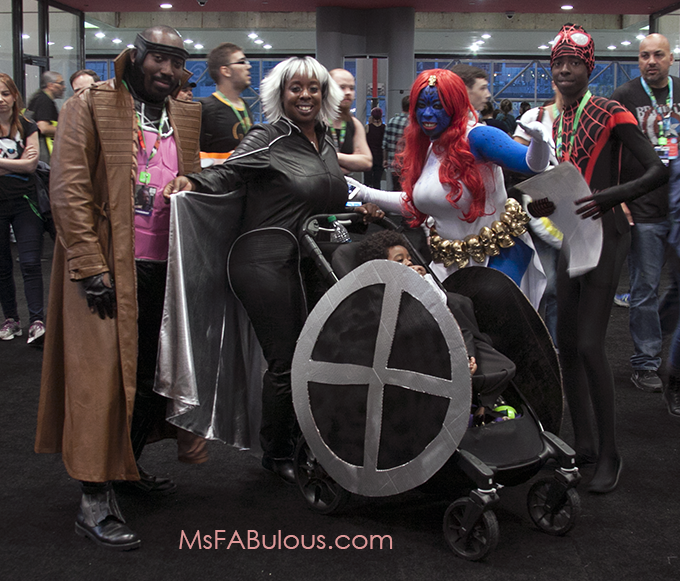 However, more grassroots, appreciation was shown for great costume executions by people of all shapes, gender expressions, and ethnicities. 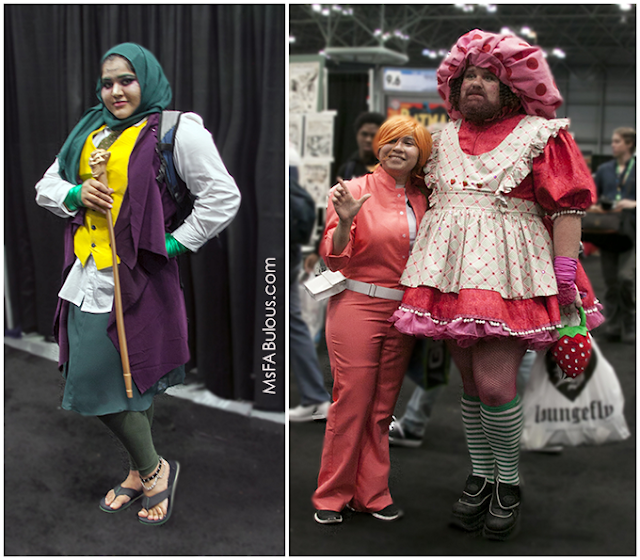 I would say the most significant trend in cosplay is gender fluidity. It was so common to see male and female versions of any of your favorite characters that you only appreciated the creativity. Fans weren't doing drag. Instead, they adapted the essence of the character and made it their own. Take a look at these great looks. This woman styled traditional modest fashion into a great Joker cosplay. Strawberry Shortcake brought joy to fans in the form of a gentle giant with a full red beard and the scent of strawberries. Hollywood's lack of diversity in casting blockbuster films seems even more out of touch when you see the NY Comic-Con floor. You see cosplayers of all ethnicities and sizes rocking the top superhero looks while being cheered on by other fans. You know, the same fans that buy the merchandise and movie tickets? The diversity in comic books and the creators who exhibit at NYCC also do not represent what gets picked by Hollywood to be made into movies. Even so, it doesn't stop the fans from flocking to their booths. Again entertainment industry, take note. So does NY Comic-Con tell us something about the population shift as a whole? Do cosplay trends show more about where society is headed more than the fashion industry does? Can Strawberry Shortcake save the World? Stay tuned.